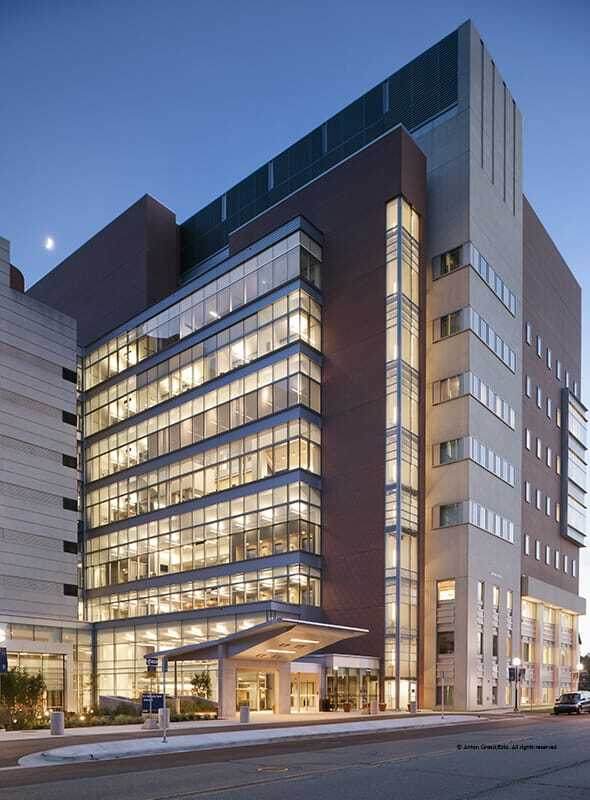 The new 226,000 SF, eight-story Brehm Center expansion houses clinical and surgery space for the Department of Ophthalmology and Visual Sciences and space for the Brehm Center for Type 1 Diabetes Research and Analysis. 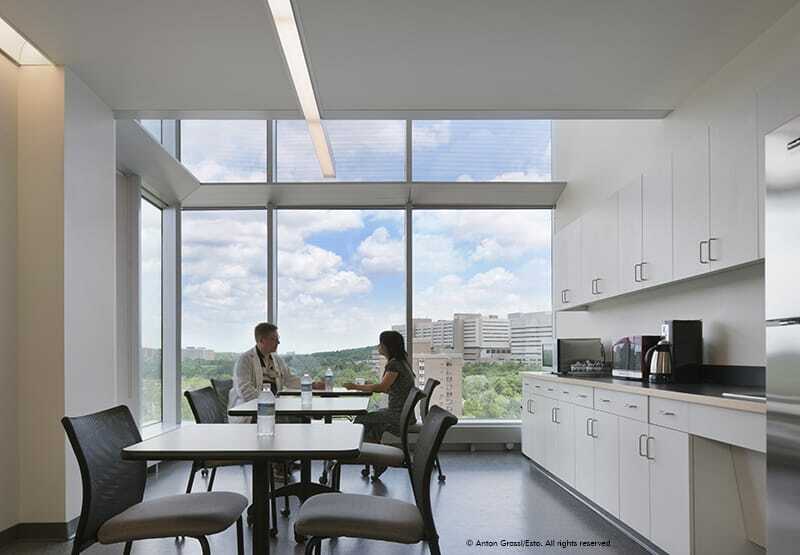 The building has large windows and a full wall of glass panels on the building’s façade, allowing for more natural light in the clinical and patient space. The new facility has a similar exterior to that of the existing building, adjoining the two separate buildings and creating a unified and seamless exterior. The new facility also mirrors the existing building on the interior. All laboratory space on the upper floors is the same in both buildings. This intelligent design allows researchers in the existing building to work cohesively with their counterparts in the new Brehm Center, saving time and improving collaboration. The lower patient floors operate in the same way, which provides easier way-finding for patients and staff. Clinical spaces accommodate patient education and provide comfortable waiting areas designed to improve patient flow. Space has also been allocated for genetic testing so patients with serious eye disorders can learn if their children or other family members carry the gene for the same disease. The facility also provides genetic counseling services to assist patients in understanding the uses and implications of genetic testing. Research space features an open laboratory layout, encouraging collaboration between researchers working on different floors. On the fifth and sixth floor, research space includes a laboratory with strategy space right outside the lab for discussion and planning purposes. A staircase is located within the strategy space that allows researchers to quickly move between floors. This open and convenient layout allows for a cohesive and collaborative research environment. It also provides for greater flexibility as research expands. The utilization of BIM played a vital role increasing collaboration on the project. The team utilized BIM to coordinate a virtual model to avoid conflicts between the facility’s systems and additional construction costs. Used during preconstruction and construction, BIM primarily provided virtual trade coordination of MEP systems in coordination with the architectural and structural design elements. 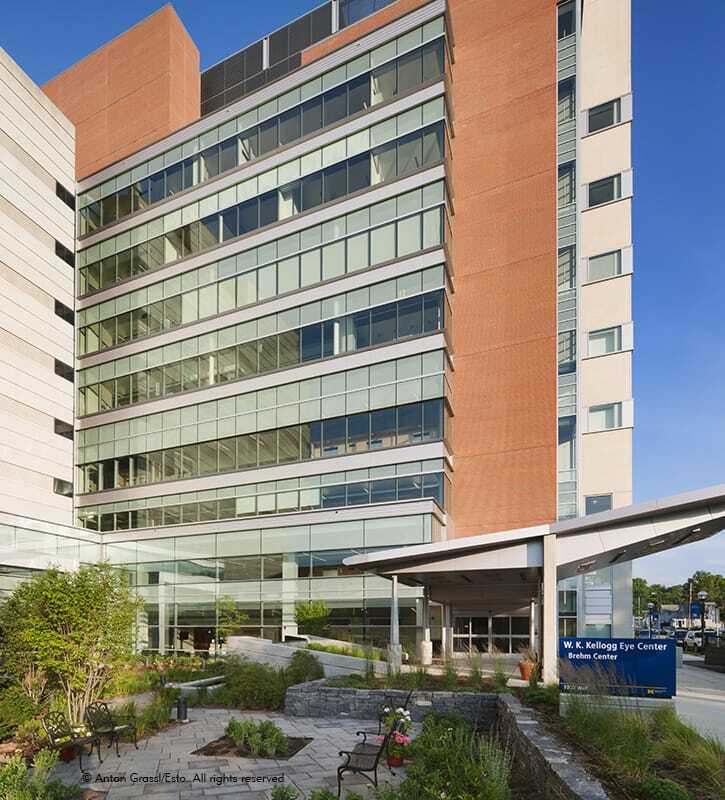 As the first project to utilize BIM on the University’s campus, it showed the owner how this innovative technology could keep costs firmly on track, significantly cut design and construction time and deliver a building precisely suited to the University of Michigan Health System’s needs.